Amazing trip out to Isle of May, Scottish National Nature Reserve in the Firth of Forth. Also many thousands of guillemots, razorbills, kittiwakes nesting on the cliffs, with gannets flying past en route to the Bass Rock. 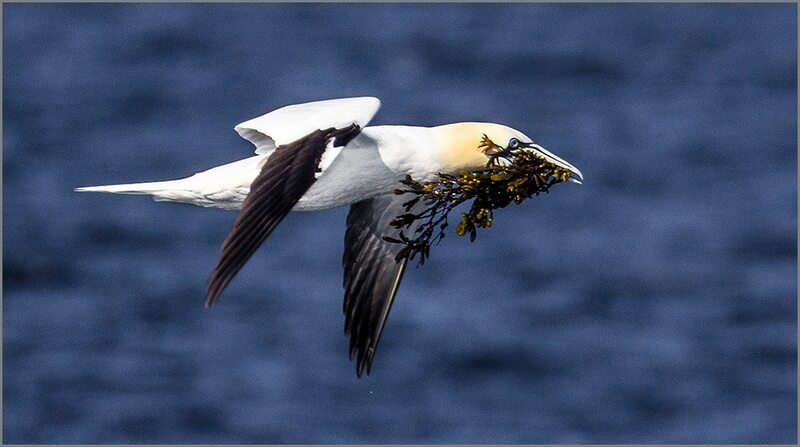 This one was carrying seaweed to repair his nest.